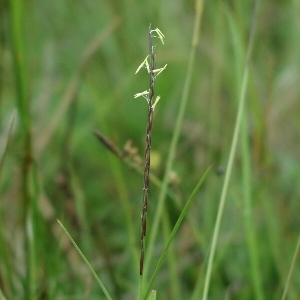 A densely-tufted wiry grass, about 8 inches high, producing unbranched flower-spikes which carry the single-flowered spikelets along one side only, giving this species a unique and easily recognisable appearance. It is extremely common in poor, acid, peaty moorland in areas like the Sperrins and Mourne Mountains. 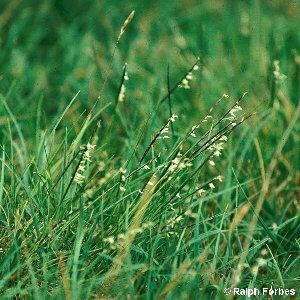 All names: Nardus stricta L.